New moms are being caught in a controversy about infant formula. Science Times last week reported that health authorities and breast feeding advocates “are leading a nationwide effort to ban formula samples. Health experts say they can sway women away from breast feeding.” Apparently the debate is not about whether breast feeding is healthier since even formula companies agree that it is. Rather the disagreement is about whether formula samples should be banned in hospitals in order to encourage breast feeding. A spokesperson for a breast-feeding advocacy group says that they are not anti-formula, and that “If a woman makes an informed choice to formula-feed, the hospital should provide that formula. But hospitals shouldn’t be marketing it.” Some mothers and those in the industry say samples provide a healthy alternative “if nursing causes pain, fatigue or frustration. “ They disagree that formula samples undermine a mother’s decision to breast-feed exclusively. It would seem that a number of issues are involved here beyond the merits of breast-feeding itself. One is certainly the appropriateness of free samples in medicine generally. There has been much discussion about the role of the drug industry in promoting certain drugs through free samples to doctors, which then get passed on to patients. Are the drugs then subsequently prescribed and requested by patients necessarily the best, or the most cost effective? The story about formula samples indicates that mothers tend to stick with the brand of the samples they received. This would appear to make hospitals participants in marketing. All mothers, and especially new mothers, want the absolute best for their babies. The approach of those adamant about breast-feeding not only delivers the message that nursing is the absolute best, but that giving formula is actually harmful. This is so like all the messages that are derived from child development research and delivered to mothers: you can damage your children if you don’t do the right thing. It reinforces the idea that the only thing that matters is the child or baby; the needs of the mother are not considered. Let’s think about this from a mother’s point of view. One of the first tasks that a mother feels she has – especially with a newborn – is that of keeping the baby alive. Mothers are known to keep checking all night to make sure the baby is breathing. Making sure that a baby is getting enough food and gaining weight is the highest priority and is what reassures new mothers that they are doing a good job. The almost universal anxiety of nursing mothers is whether or not the baby is getting enough food. Since babies cry for many reasons, the need to be fed only one, it is easy for a mother who is nursing to question if the infant is really getting the milk she needs from mother’s breast. Mothers may turn to formula for that reassurance. Adding to this concern is the fact that it often takes a while for breast feeding to be successful. Both mothers and babies may need help in getting things started. 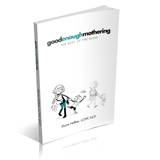 Mothers can and do become discouraged and frustrated. Here is where providing real help and support would be so much more valuable than making mothers feel guilty for not doing the “right thing” if they decide to go the formula route. The current practice of getting mothers and babies out of the hospital in the blink of an eye runs counter to the need for such support. Instead of providing free formula samples, hospitals could provide follow-up at home for mothers wanting and trying to nurse. Finally, in today’s real world breast feeding is one more challenge for women who either by choice or necessity are trying to continue to function in the workplace when becoming mothers. Women feel compelled to pump their breasts to store and provide milk for their infants when they are at work. Doesn’t this speak to the need for all working mothers to have six months maternity leave since that is the recommended time for exclusive breast-feeding? When all is said and done, there are times that mothers – especially of newborns – need a rest, whether a night’s sleep, or some other break. Formula can be the needed rescue for mothers that ultimately works to the child’s benefit. We need to think in terms of balancing the needs of mothers and children to make possible the ultimate well-being of both. And why is that? Part of this “informed” decision is understanding that formula is an additional expense to prepare and budget for. If that is your decision, it’s also your responsibility, is it not? I think you are making an important point. There are several issues: one is that the hospital supplies a specific brand which appears to give its seal of approval to that brand. Another issue is that as a medical facility they are supposed to support what is agreed to be healthier. Finally, by sending women home with formula samples they appear to be assuming it is the mother’s choice. I think it is a tricky question because women should not feel pressured one way or the other. Formula should definitely be provided if mothers ask for it, but not necessarily promoted. My whole point is that the needs of the mother need to be considered.